The 17 UN Sustainable Development Goals for 2030. Young people who want to change the world are invited to the YOUth Summit on Activism and the UN Sustainable Development Goals (SDGs) being held this Wednesday in Dublin. Organised by the National Youth Council of Ireland and Concern Worldwide, this day-long event at the Camden Court Hotel starts at 10am. It’s for young people aged over 15, and those who work with young people in the youth, education or development sectors. The event is part of One World Week, a week of youth-led awareness-raising, education and action that takes place throughout Ireland during the third week in November every year. Many schools and youth groups will have received grants to organise events, debates and intercultural evenings this week. 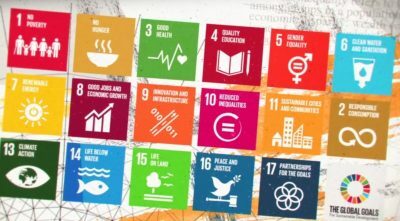 The UN Sustainable Development Goals were drawn up three years ago when 193 countries committed to working together to achieve 17 goals and 169 targets on issues such as ending extreme poverty and hunger, tackling climate change and inequality, all to be achieved by 2030. Ireland played a key role in the development of the UN sustainable development goals as the negotiations were co-facilitated by the Kenyan and Irish delegations to the UN, with Ireland’s delegation led by David Donoghue of the Department of Foreign Affairs. But while Ireland has a national implementation plan, Concern and the NYCI agree there is a need to move from policy to action. At Wednesday’s Youth Summit participants will be given an overview on the sustainable development goals and the progress that is being made. There will be games, interactive discussions and opportunities to meet with other activists in a fun atmosphere. Organisers of the YOUth summit said the event was an opportunity for young people to relay their issues and solutions. For more information, and to download a One World Week information pack if you can’t attend the YOUth Summit, visit the website.